LOADOUT FOR UNDER £150? MULTICAM TROPIC FROM WEAPON 762! I get a lot of requests from my followers for a post building a 'budget loadout', so I decided to team up with the awesome team from Weapon 762 to make this happen for you. 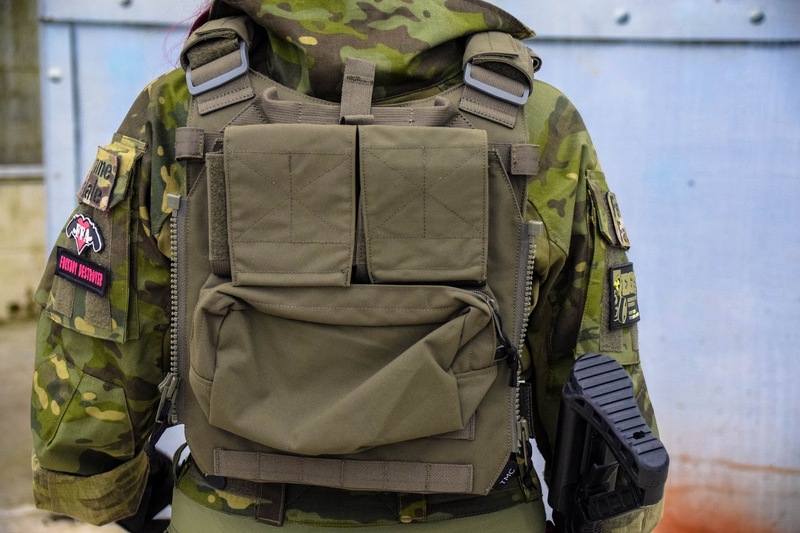 In this post we'll be looking at a MultiCam Tropic/Ranger Green loadout (BDU and Plate Carrier) for under £150! Without further adieu, let's get down to it! For the loadout build I wanted to step away from the usual camos that have saturated the UK Airsoft community and go for something a little bit different so I chose MultiCam Tropic for the BDU and to finish off the loadout, pair it with a simple Ranger Green Plate Carrier. For the BDU's Weapon 762 sent me a TMC Gen 3 Combat Shirt and a pair of the TMC Gen 3 Combat Trousers with Knee Pads both in MultiCam Tropic and in a small. TMC Sports Gear is a brand by a Hong Kong gear manufacturer so this means that the sizes can be a little on the small side (so always check the sizing chart before ordering your size). 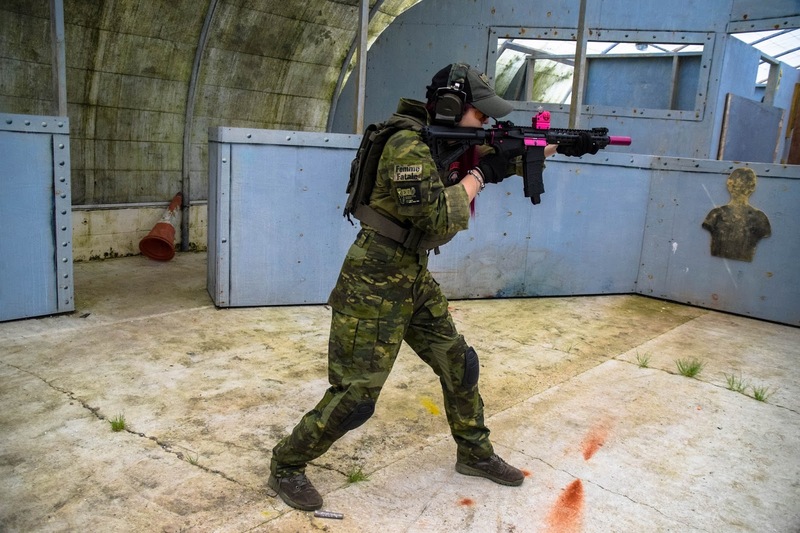 The small sizes are great for Airsofters with a small stature such as myself. 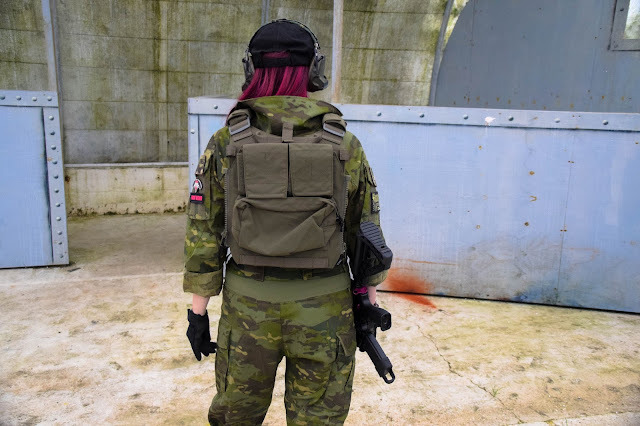 When I pulled the BDUs out of their packaging, the material felt pretty good quality and on closer inspection it turned out to be rip stop which is perfect for Airsoft. The combat shirt has ripstop sleeves and a quick witting, lightweight torso fabric which helps keep you cool and dry on hot game days. It also has a high zipped collar to keep slings and straps off your neck and a comfort panel on the inside so the zip doesn't irritate, it has a pockets with velcro on each side and a pen/eyepro holder. The shirt is comfortable to wear and has plenty of patch space. 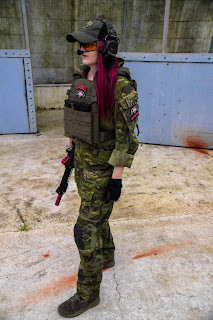 With a price of £23.29 it is also a super affordable option for a BDU. Moving on we have the Gen 3 Combat Trousers. With the trousers you receive tan knee pads but I swapped mine out with a set of black knee pads that I had from a previous pair of trousers. 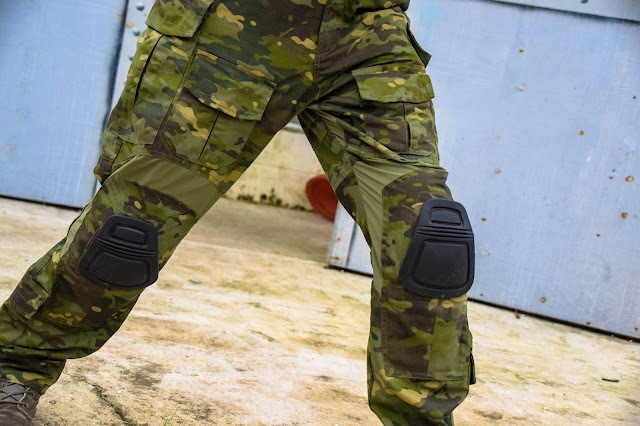 One aspect I really like about these trousers in particular compared to other trousers with knee pads I've used is that the slightly stretchy material around the knees helps the knee pads sit in place at lot better. I also think it helps break up the camo a little. 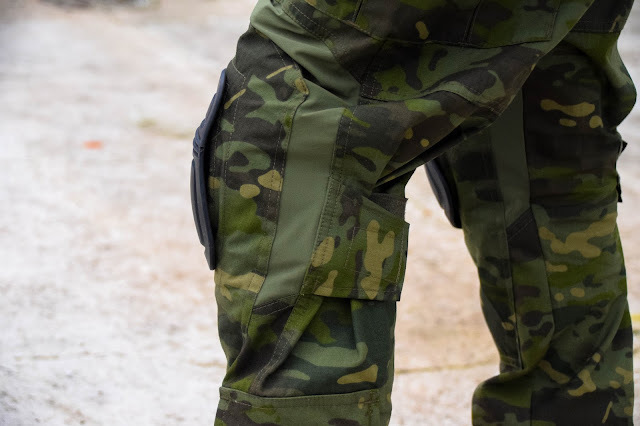 They have a mulitude of cargo pockets on the front, sides and back to store essentials and feature an easy to use knee pad adjustment system in the thigh pockets. I really like how the trousers look and fit. The trousers are are priced at £31.49 - a bargain. For the Plate Carrier I opted for the TMC MP94A Modular Plate Tactical Vest in Ranger Green because it looked very similar to the LBT 6094 Plate Carrier. 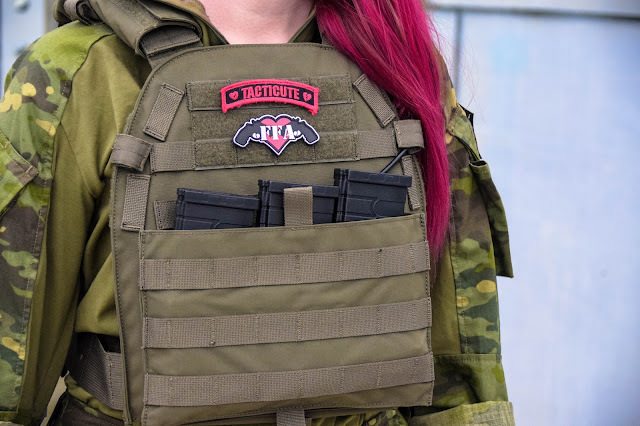 The PC has a large section of velcro on the front for patches and 3 velcro M4 mag pouches on the front with a molle panel to add more pouches and molle panel systems. It has padded shoulder straps so any weight carried on the carrier is comfortable. It feels sturdy and the construction of the carrier is sound. One issue I have always found with PCs is that they can be a little too roomy around my waist and although the MP94A Modular Plate Carrier can be adjusted fully to accommodate most sizes I removed the cummerbund and just utilised the velcro straps that also come with the PC. I also added some medium SAPI plates to give the PC a little more rigidity. The PC comes in at £42.74. Next comes the TMC Vest Pouch Zip On Panel, I've seen a similar zip on panel from the brand Semapo Gear and really liked the look of it so when going through the Weapon 762 website and seeing a pretty similar alternative I decided to add one of these to the loadout. As a general rule of thumb I have a backpack on all of my plate carriers so I can carry smokes and any BBs/gas I need in the field so this zip on panel fit the bill. Although it has the zip on edges, it also has molle tabs on the back so you can mount it to molle systems. The two pockets at the top each hold 3 x 40mm grenades/smokes/flashbangs etc, a GP pouch in the middle which is pretty spacious and a small molle section on the bottom to quickly attach other pouches to make the configuration unique to you. The panel also has a built in hydration pouch/bolt cutter pouch. It's a pretty cool and useful addition to the loadout and came in at £40.49. Unfortunately as I haven't found any other retailer that stocks these TMC items or similar ones to it I can't compare what the prices would be from another retailer. For the price, these items are great value and definitely look the part. 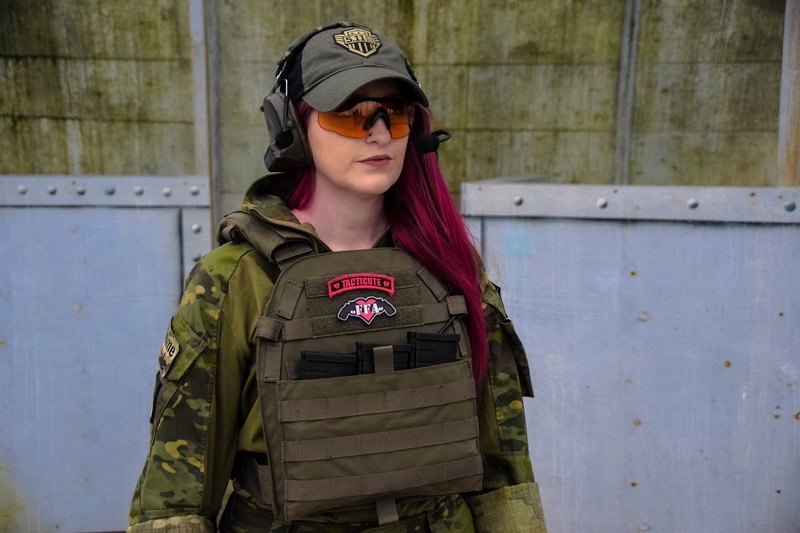 You can save even more on the TMC gear from Weapon 762 by using the code femmefataleairsoft-weapon762 at the checkout! This code gives my followers 10% off their order.